Sports Illustrated's choice of Dwyane Wade over tennis great Roger Federer in 2006 was hotly debated both outside and inside the halls of the magazine. Sports Illustrated’s selection of LeBron James as our 2016 Sportsperson of the Year has been met with some disagreement by readers who favored any of the other worthy candidates, such as a member of the World Series champion Chicago Cubs or Olympic stars Simone Biles, Katie Ledecky or Michael Phelps. James’ credentials are obvious: The Cavaliers' do-everything forward delivered on his promise to bring the city of Cleveland its first major pro sports championship in over 50 years and reclaimed his throne as the best player in the country’s hottest sport. So, too, though is the fact that the choice won’t generate anywhere near as much debate either outside or, especially, inside SI than the one made 10 years ago, which remains a frequent topic of discussion at SI and perhaps the most controversial selection in the award's 63-year history. 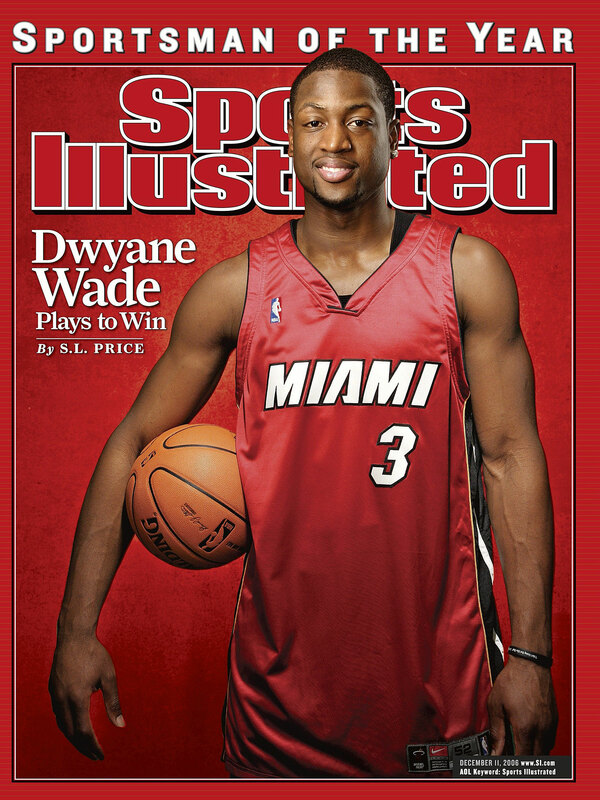 In 2006, then-SI Group Editor Terry McDonell chose Dwyane Wade as Sportsman of the Year. It was certainly a defensible pick. Wade, then 24, had carried the Miami Heat to their first NBA title by averaging 34.7 points per game in the Finals against the Mavericks while at the same time being lauded as one of sports’ best ambassadors for his charity work and good-guy persona. The consensus among staffers, however, and the expectation of many outside observers was that another athlete who combined exceptional skill and grace deserved to be SI’s pick that year: Roger Federer. The peerless Swiss tennis star had a season that some consider the best in that sport’s history, winning 92 of his 97 matches overall, 12 singles titles and three of the four Grand Slams (losing the final in the fourth, the French Open, to Rafael Nadal). Then, as now, other staffers could offer opinions and the decision could be debated from multiple angles in meetings big and small, but the decision ultimately rests with the person running SI. For a decade worth of Sportsman picks, from 2002 to ’11, that person was McDonell, who had come to SI after having been the top editor at both Esquire and Rolling Stone, among other notable publications. Not everyone was so understanding. "I do remember it did come up in some meetings and when it became clear that we were leaning toward Wade over Federer it created a lot of internal awkwardness," says Stone. One alleged staffer went so far as to write an anonymous post on the message board sportsjournalists.com under the name "Moger," ripping both the selection of Wade and the man who made it. McDonell knew nothing of that post at the time and says now of the criticism, "That tells me this person didn't know me or work with me." The irony is that Wade didn’t attend the ceremony either. 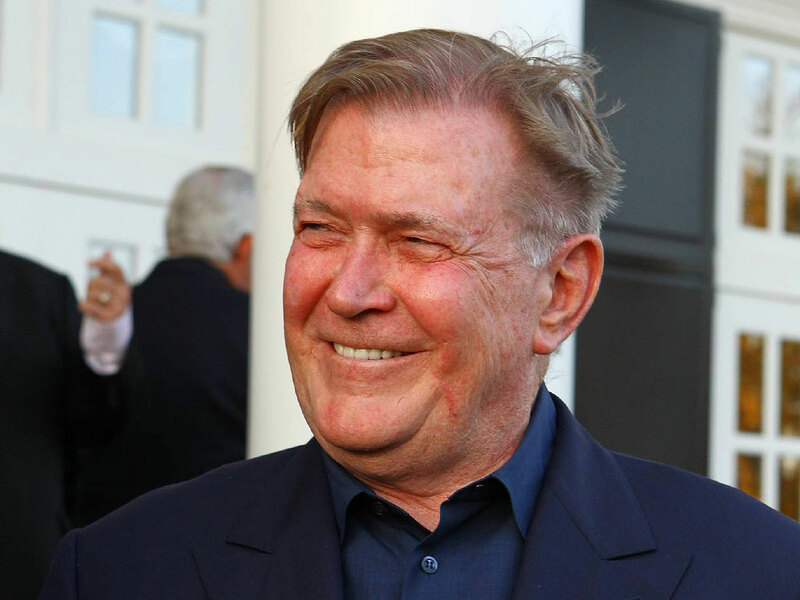 A toothache that had sent him to the dentist four times in five days and caused him to have a tooth pulled prevented him from traveling to New York, so instead Stone went to Wade’s house in south Florida with a camera crew to present him the award and have the video shown at the event. Another irony: Neither Wade nor Federer was the betting favorite to be picked as Sportsman. In mid-November, just weeks before the announcement, the betting website sportsbook.com listed Tiger Woods, who had won both the British Open and the PGA Championship and was already a two-time Sportsman of the Year pick, as the 5-2 favorite to win yet again. Federer was next at 5-1, followed by Wade (7-1) and the Miami Heat (7-1). SI senior writer S.L. Price, who wrote the Sportsman cover story on Wade in the Dec. 11, 2006 issue, says, "Terry is going to be considered the villain in this and that's wrong. He was trying to save jobs and make money. He wanted to sell magazines and create buzz and tennis did neither." “At the time there were people really pissed off in tennis," says Price. "Everybody in tennis is pretty polite, but there was certainly outrage that Federer hadn’t gotten it. The tennis community took it as a slap at their sport. But it’s a niche sport that’s been attempting to break out and be a major sport ever since the tennis boom [of the 1970s]. That was an anomaly and it fooled many in the sport into thinking it could be as big as basketball or baseball." Federer did have another Sportsman-worthy year in ’07, again winning the Australian Open, Wimbledon and the U.S. Open and losing the French Open finals to Rafael Nadal. But he missed out on SI’s honor again, which this time went to Green Bay Packers quarterback Brett Favre. So does Wade, who has gone on to build a Hall of Fame career, making 12 All-Star teams and winning two more NBA titles, thanks in part to a certain former Miami teammate who is the only NBA player since then to be named Sportsperson of the Year. A tennis star did finally win the award, but it was Serena Williams, in 2015. The business pressures alluded to at the time of Wade’s selection were real. Just six weeks after the announcement of Wade as SOTY, Time Inc. announced company-wide layoffs that affected dozens of SI’s edit staffers.